Digitization has made it possible for comics to be viewed online. Now you can read your favorite comics online using Apps. Google Play store has plenty of such apps that allow you to keep tab on your favorite comics. In this review we take a look at some of the popular comic apps for Android. 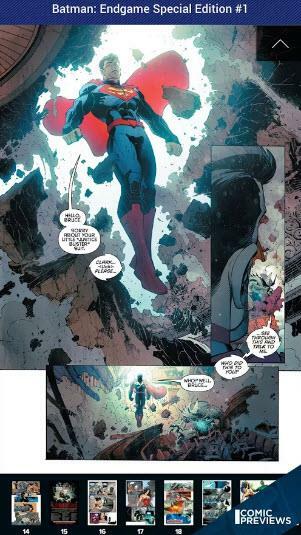 Most of the comic studios are getting online to increase sales. Almost every popular comic studio has their online subscription option available on Apps. Here are some of the Android apps that you can use to read the comics online or from saved file on disk. This app is more of content curator app than providing it's own original content. It collects the content from independent web comic series from internet. You may come across humor similar to artists such as cyanide and happiness. And they do give credit and exposure where it is due. Most of their content is not suitable for kids due to the language and graphical nature. So for most of the NSFW humor comics on web, this can be really good app to find readers. This is the reason it is classified under the adult category. If you're artist or just another reader, this app can be a good option to check out some new comics which are yet to be mainstream. The app is free to download from Google play and you can find fresh content from it every week. One of the popular mainstream comic studio has their Android app. 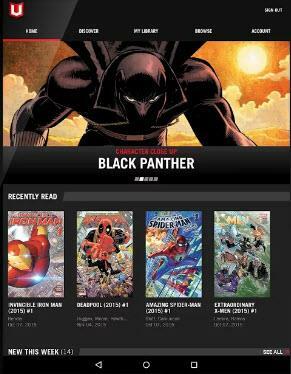 This app is limited to the comic reading and to browse old issue if you're subscriber. It also has another app known as "DC All Access" which is basically curates content from YouTube channel and has deals and discounts section. So the main app remains open for the subscriber who just wants to read the comics on their smartphone. Both apps are free, however you have to unlock the content by paying for it. So you're limited with the option of subscription or one-off purchases of the products. Most of the back issues are covered under subscription. And the new releases often require additional payment. If you have money and means to pay for it, then these apps can be really handy. It can manage large number of comic files on it's collection. You can also search through the collection fairly quickly. It can open CBR and CBZ format for comics. And it can also allows zoom and bookmark feature. There isn't much fancy about this app's UI. And you can easily use this app to read the saved comics on your phone or tablet. It also allows some of the settings to make it easy for you to navigate the comic chapters. If you are searching for app that reads open file format such as CBR then this is the only app you need. This app is available for free on Google Play Store. 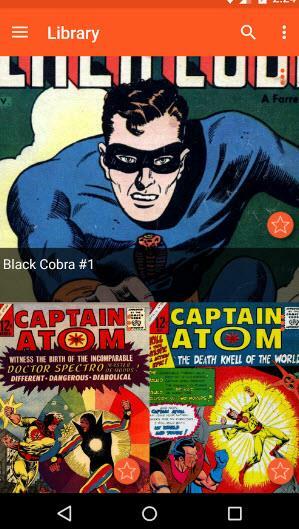 Like DC Comics studios, Marvel too has it's multiple set of apps for the readers. Marvel unlimited is similar to the DC Access app. Here you get everything in the default Marvel comics app. Also you get access to the Youtube channel content and other previews, trailers and promotional content. You can also browse the old archive and read the issues from past. It has tons of info and references to browse through in the app. Marvel unlimited app requires you to be a member of subscription set before you can use this app. However you can use the Marvel Comics app and buy the comics per item or selectively. So like DC Comics, you have lot of choices here depending on how you wish to pay for the content inside the apps. Another popular app for those who like reading comics. The app itself is free to download but to access the paid content, you have to pay subscription. Most of the content on the app is mixed. So you get both free and paid content to access. The paid content however has 5.95$ per month subscription fees. You can search through database for content from DC, Marvel, Dark horse comics etc. You'd find a lot of interesting old comics issues too. Recently the app was acquired by Amazon, so it is available on both Android and Amazon. There are plenty of apps on Google Play Store for those who like to read comics on their smartphone and tablets. Some of the apps from above list can be useful for those who like to keep tab on the mainstream comics. You can find plenty of comics recommendation and new content from the apps listed above.